Snowmass Resort lies in the heart of Colorado, about 215 miles west (and to the south) of Denver (4 hours by car). Eagle County Airport (EGE) is 75 miles northwest of Snowmass (about 1:30 by car) and Aspen's own Sardy Field (ASE) is minutes from area. Most travelers fly to either Eagle or Aspen, though Denver is becoming a popular option as well. It is best to call and inquire about special ski vacation or packaged 'bulk' airfares into the Aspen/Snowmass, Eagle or Denver Airport. A note on flying into Aspen is the airport will close when viability is limited. Locals will tell you they live in a banana belt of snow. It is best to purchase trip insurance with your package. Four mountains, two geared for advanced skiers, one towards intermediates and one for beginners, comprise one of the best-known ski resorts in the ski world. Vacationers generally stay in one of two areas - Aspen or Snowmass - both situated at about 8,000 feet. 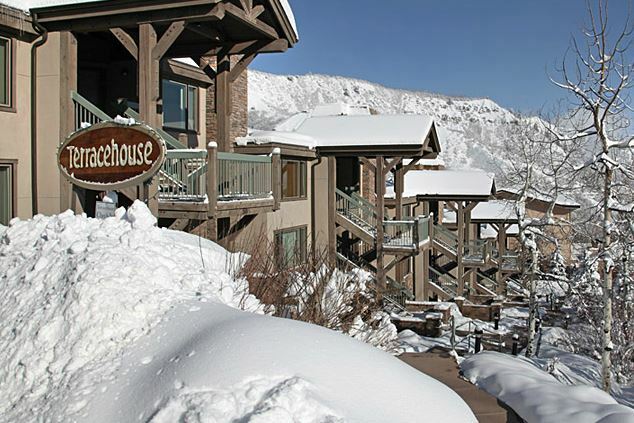 Snowmass is a resort-defined town, with plenty of ski-in/ski-out lodging. As mentioned, Snowmass boasts four mountains or as the resort considers “the power of four” for its guests. Aspen Mountain (also known as Ajax) has over 3,200 vertical feet and on 700 skiable acres. It is geared toward advanced skiers as Aspen Mountain has no beginner runs. Aspen Mountain is about 9 miles to the left of Snowmass. Aspen Highlands offers 3,600 vertical on 700+ acres. The area is situated about 6 miles to the left of Snowmas and offers a respectable amount of beginner and intermediate terrain, but 47% of the mountain is advanced terrain. Buttermilk (also known as Tiehack) is a smaller, beginner-oriented mountain. 2,000 vertical feet and about 420 acres of smooth, rolling terrain. Buttermilk is located between Highlands and Snowmass Mountain, about 5 miles from Snowmass Village. Buttermilk is home of the X-Games and has what many believe to be the greatest “park” in Colorado. Snowmass is easily the largest of the four. Over 3,000 acres of skiable terrain, and a 4,400 foot vertical drop (measured from absolute peak to the end of an access run somewhere in a condominium district). Terrain is varied here, though 55% is considered intermediate. Snowmass is terraced like a vineyard, which allows most lodging to be ski in/out. Average snowfall is around 300" (Buttermilk closer to 200"). Early season snow is relatively reliable - Snowmass and Aspen will open before Highlands and Buttermilk. Late season snow, however, is very reliable, the mountains generally close due to a lack of skiers rather than a lack of snow. 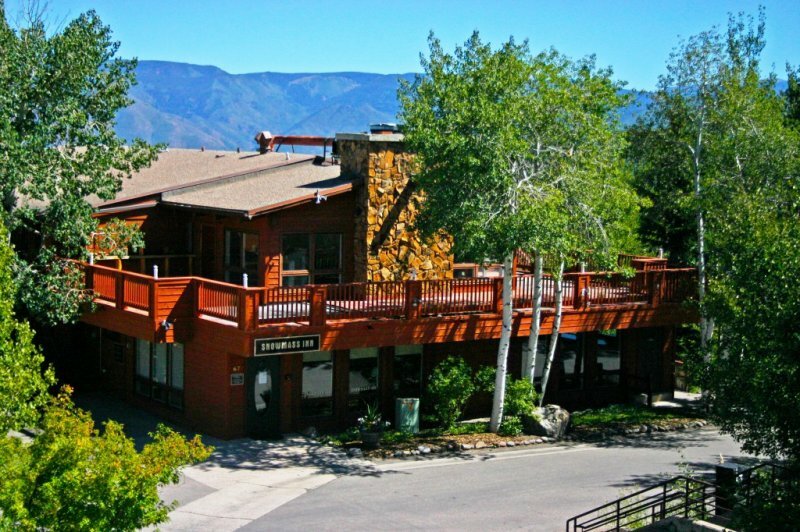 A well designed vacation resort, Snowmass Village is clearly built with lodging access to the slopes in mind. The lodging design is 'tiered', with multiple levels extending up the hillside. There are a fair number of restaurants, bars, pubs, and shops in Snowmass especially now that the resort has build the new base area- but many more are found in Aspen 12 miles north. An interesting aspect of Snowmass Village is the pool and hot tub policies, none of which are private. Guests can enjoy any hot tub or pool in the village area, regardless of the property. There are really two levels of vacation lodging in Snowmass Village: upscale, ski-in/ski-out properties and more economical options walking or a short shuttle distance to the slopes. The ski in/out properties (90% of the resort) is in the original base area and spread throughout the resort. 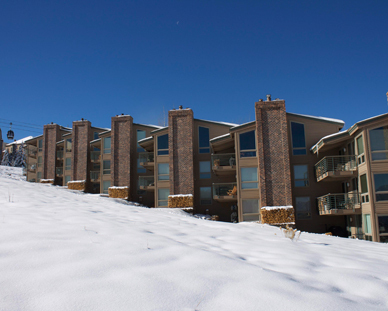 The more economical properties in Snowmass are in the Woodbridge area and down Brush Creek Road. Snowmass is an excellent choice for your next family ski vacation.